Adorable! 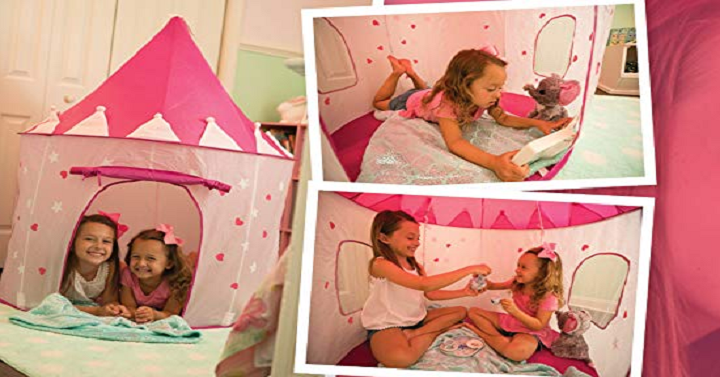 Head over to Amazon and get this super cute Princess Castle Play Tent with Glow in the Dark Stars for Only $14.99! (Reg. $30). Your child will have hours of fun with this colorful play tent decorated with hearts and glow-in-the-dark-stars! Pop it up in the backyard, and she’s got a magical cave, a fort to be guarded or a secret hiding place. With the fold down door and peep through the window, it’s great for encouraging role play, adventure, and fun.